This piece is a metaphorical representation of those individuals who were ripped off from their own homes and families. It is a multi-functional sculpture composed of two separate entities, each being forced to detach. The ripping sensation is enhanced with the copper structure characterizing the roots, fighting to stay in place. 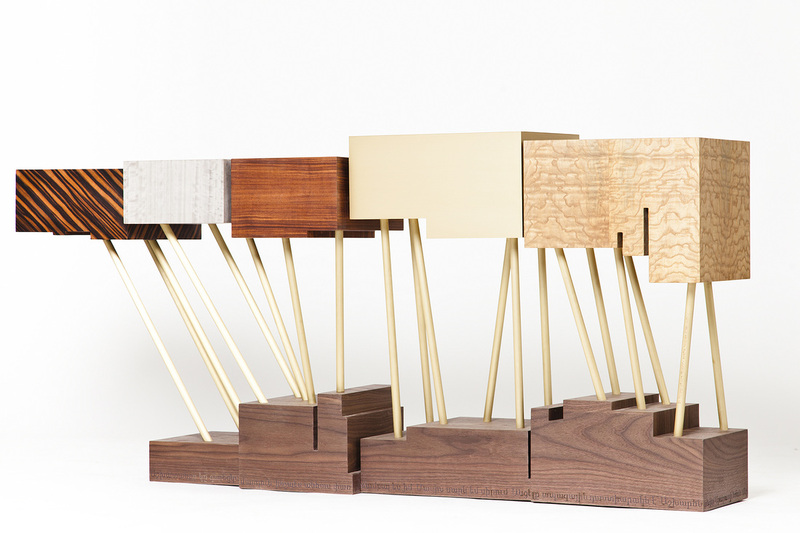 The five finishes correspond to the five continents and how each cluster evolved in different contexts. 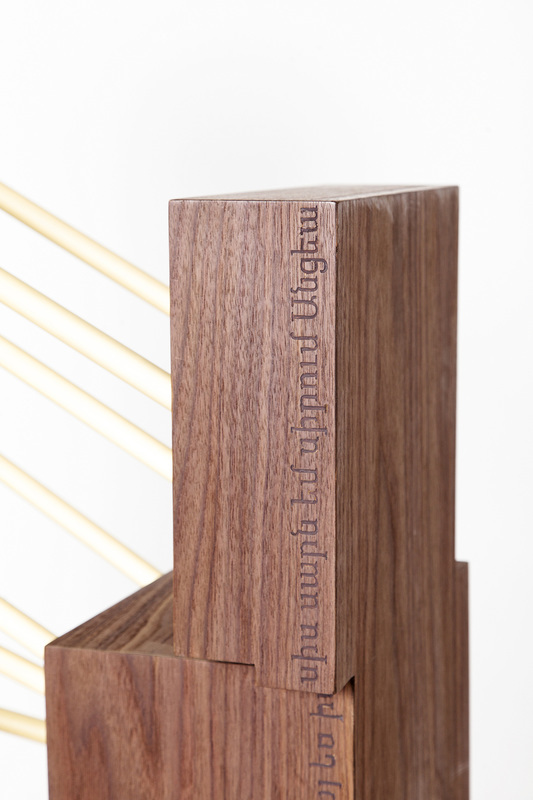 The engraved letters on the base represent Armenian proverbs, remind symbolic and traditional attributes. 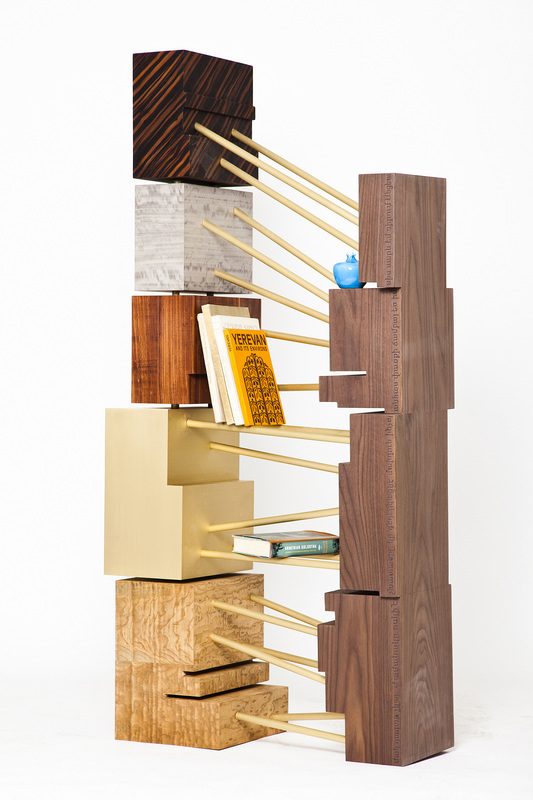 The piece can be placed in various positions, transforming each side into a different utility; a console, a bookshelf,...this explain the adaptation of each individual to that subject matter.